A Missouri appellate court yesterday reversed and vacated a $72 million verdict that was the first of four such controversial, multimillion-dollar verdicts rendered in the City of St. Louis Circuit Court in a series of scientifically groundless lawsuits claiming that the use of talcum powder causes ovarian cancer. Comparable St. Louis talc verdicts also on appeal are likely to fall now, too. Citing the U.S. Supreme Court’s decision in Bristol-Myers Squibb v. Superior Court of California earlier this year, Missouri’s Eastern District appeals court dismissed the talc claim for lack of personal jurisdiction insofar as the trial court had allowed an out-of-state plaintiff to sue an out-of-state defendant for an injury allegedly incurred out-of-state. Plaintiffs’ lawyers had spent tens of millions of dollars on local TV advertising to sway jury pools against talc defendants. 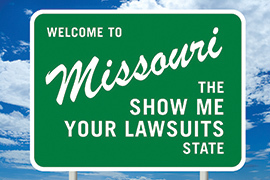 And they had hoped that Missouri’s previously lax standard for the admission of expert (scientific) testimony, along with easily manipulated venue and forum rules, would also help them win billions of dollars in contingency fees as they lined up more than a thousand out-of-state talc plaintiffs for claims against out-of-state defendants over out-of-state injuries. 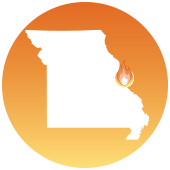 But it looks as though this crooked jig is up in light of yesterday’s appellate court decision and a Missouri statute signed into law this past March, raising the standard for the admittance of expert testimony. And with lawmakers and a reform-minded governor poised to tighten venue and forum rules in 2018, Missouri finally has hope of shedding its reputation as the Show Me Your Lawsuits State and home to the nation’s #1 Judicial Hellhole.